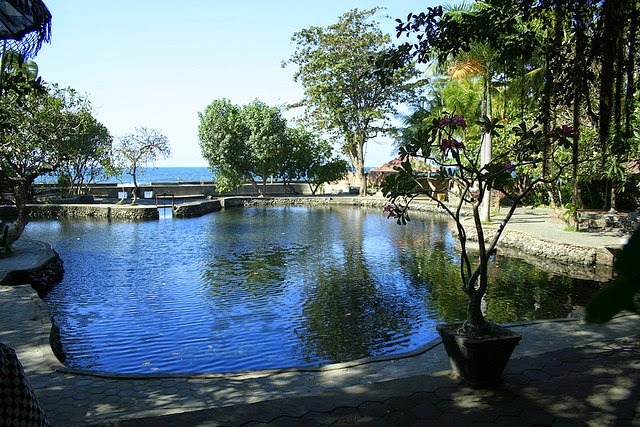 Air Sanih is one of renowned tourist destination in the north of Bali, in the eastern part of Buleleng. 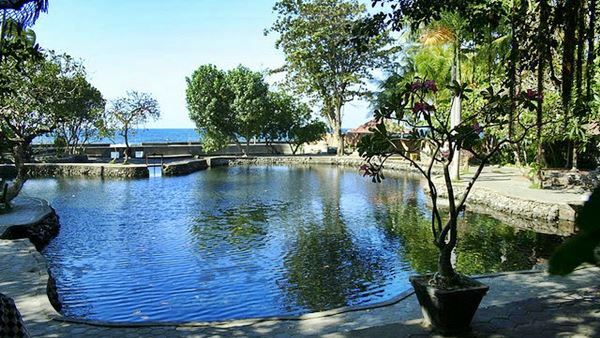 The location of Air Sanih is in Sanih Village, Kubutambahan District, Buleleng regency. Air Sanih also has another name, its called “Yeh Sanih” which is Yeh and Air means Water (Yeh is a Balinese language and Air is Indonesian Language). 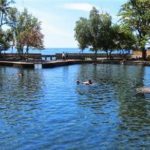 Air Sanih is a natural swimming pool that the water comes from the groundwater source and it’s coming from the Batur Lake that located more than 100 kilometers from Air Sanih. And the water is free of chlorine. There is a story about why the groundwater source comes from Batur Lake. There was a grandfather who took off a few ducks in Batur Lake, then one of the ducks released. But strangely, a few days later the duck appeared of the fountain in the pool of Air Sanih. 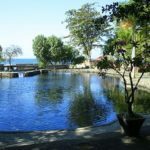 From then on, people around the swimming pool of Air Sanih confident that the source of water in the pool came from lake water in the lake Batur. Air Sanih has two swimming pools. The first one is for adult with the depth around 1,5 meters. And the second one is for children with depth are until adult thighs. Besides of that, there is a long small pool that flaw around Sanih area. After you have done swimming to in the clear water of Air Sanih, you can enjoy the waves of the beach that is in the east of the pool of Air Sanih. You can sit back and relax with your friends while eating snacks or cup noodles that you can buy in the stalls that are provided in the pool area Air Sanih. 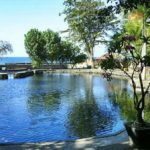 You also can see beautiful scenery around the Sanih pool area which is still protected and well maintained by the local government. What is making different among Air Sanih with other swimming pool? The differences come from the water. The water in Air Sanih is really natural that all the water comes from the groundwater source that called by Yeh Kelebutan. This spring is come from the south of the adult pool, in the bottom of Kamboja Tree near a temple for Vishnu Lord. The water that comes from this source make the water in Air Sanih looks so clear and will still clear. The water in Air Sanih wills always flowing because that water will continue and emptying on the beach.